this seems to be a not-so-common situation, but imagine you have initiated a large download (a multitude of GBs ISOs from MSDN) and your download interrupted. You are now asking yourself the question “How can I resume my downloads” ? 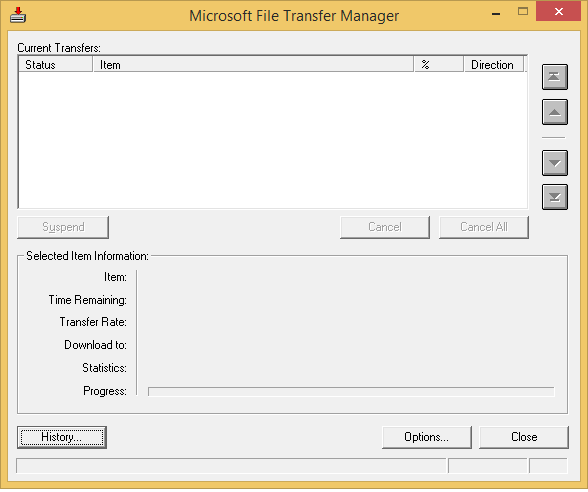 If you have noticed that you are indeed using the Microsoft File Transfer Manager (sometimes masked as Akamai technologies download tool or similar), then you will end up here on my blog looking for a solution. The problem is, this tool is around since 2006 and in 2006 user experience was not a high priority (for some programs it is not today as well…). You end up buying the HP Probook 430. Specs wise it ticks all the right boxes, the little guy even has an extension port shared between the 3G UMTS card and mSATA. The 13.3 spots the usual 1368×768 resolution, but on a 13.3 that is the max you need for productivity and web surfing. So I bought the Samsung 840 Evo SSD, installed win7 vanilla on it (licensed of course), tested the laptop with burn-in and was happy with how it behaves. Until we tried it on battery. The laptop would randomly freeze and its display produced very strange image. If you have seen a VGA with broken sync buffer you will know what I mean. It just freezes. It doesn’t take more than a few searches to see that more than one person is having such issues. But apparently different countries, different warranty budgets – mine wasn’t honored. I tried the usual steps – firmware, drivers, clean boot, etc… but as one would expect, this did not help. In my case this was not big of a change since I only have a core i3 inside (non turbo CPU). On the graphics part – the machine has 8G RAM installed so assigning 0.5 for graphics isn’t much of a change. Subjectively the laptop runs much smoother now and most importantly – does not freeze anymore! That is all HP should have said about this issue, but they did not. Hopefully this helps another one to save a few hours of head banging troubleshooting. Recently I came across an interesting problem. I have on my work “hate-this-slow-POS” laptop every other Microsoft product out there. This includes proof-typing on 3 Languages and there is an interesting side effect. 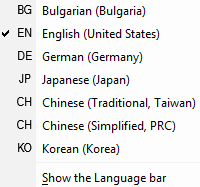 After windows update jumps in and installs whatever it does, I end up with a very large option of languages to choose from. These include Korean, Japanese, and TWO types Chinese. I wish I was fluent in any of those, but I am not. So I ended up looking for a solution. Q: Why the H… is this happening to me? A: Some smart MS guy decided to embed the integration of Asian languages into the startup process. That’s right – in the registry. 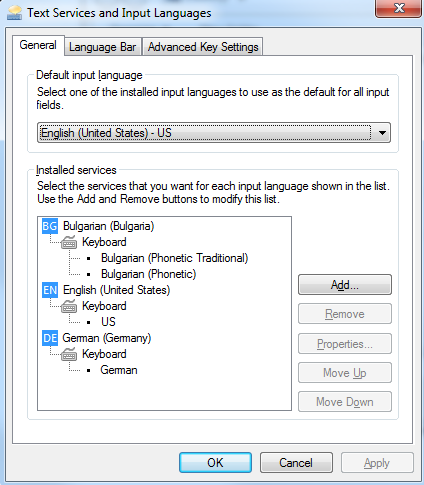 No check is done if my computer actually uses the exotic languages, nor am I asked “do you want to install whatever-this-is?”. Q: So how can I remove them? A: I found the answer on a official Microsoft partner forum. I am unaware who is the original source to give credit for this finding, but here is how you can do that the easy way. This is a zip file which contains 2 files. removeExtraLang.txt – this is the same file, in plain text. It just finds the extra entries done by Windows Update (thanks again!) and removes them. You could manually look in the registry and remove the entries yourself, but I am a lazy person and since this issue might reoccur, I just keep a copy of the reg file.